We are your California DMV Alternative! 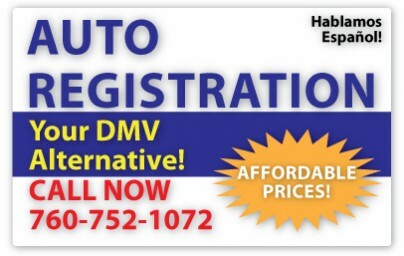 All DMV services – it’s as fast and easy as a phone call! Renew your California car registration, transfer or replace a vehicle title without ever visiting the DMV! We provide mobile on-site VIN verification services at your home or business in the San Diego area. We professionally handle all forms and paperwork needed for your CA vehicle verification. 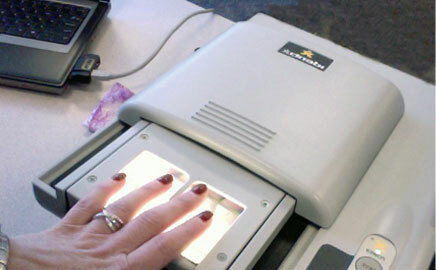 Convenient Live Scan locations in Oceanside and San Marcos for mobile Live Scan fingerprinting. We provide expedited fingerprinting and electronically transmit them to the requesting government agency or employer for FBI clearance, licensing or employment certification. CAL AUTO LICENSE is your DMV Alternative in Oceanside, San Marcos and MCAS Miramar for Auto Registration, Title Transfers and Live Scan Fingerprinting, Motor Carrier Services and more. We will transmit your fingerprints for employment clearances, certification and licensing within minutes! Whenever you need California DMV services, we can save you time and money!